Day 1 : Beirut - Istanbul - Bangkok. Full Day tour to DAMNERN SADUAK FLOATING MARKET - 100 km from Bangkok - the largest and most colorful Rural Floating Market in Thailand. En route drive through salt fields and rice paddies. Arriving at a jetty, board long tail speed-boat to take you to the market. Everything you have ever dreamt of can be bought here: succulent fruits, vegetables and sweets. Continue to ROSE GARDEN RESORT, a major attraction park, around 30 km south of Bangkok. Lunch in a restaurant overlooking the river. 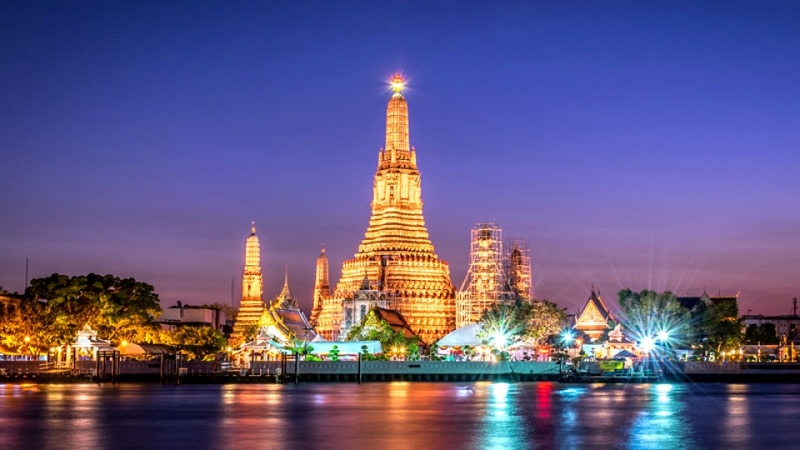 After Lunch, Typical THAI Village activities will be performed amongst them: Wedding Ceremony, Buddhist Ordination, Thai Folk Show, Thai Boxing and Elephant Show. Overnight hotel in Bangkok. 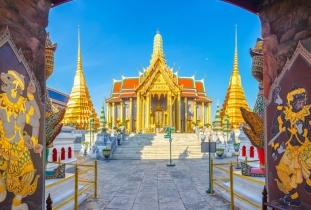 Morning Half Day tour to the GRAND PALACE Complex one of the wonders of the world today which includes the most exotic Buddhist temples as well as the fabulous EMERALD BUDDHA TEMPLE, and The Coronation Hall. Nearby The Grand Palace the official residence of the King of Siam built in traditional Thai mixed with European designs. Overnight hotel in Bangkok. Day 7 : Bangkok - Istanbul - Beirut. Return Economy class ticket on Turkish Airlines on “V” booking class: Beirut - Istanbul - Bangkok - Istanbul - Beirut.